If it weren’t for the guys over at Hodinkee to notify me, I probably wouldn’t even have noticed that Audemars Piguet’s golf ambassador Rory McIlroy is wearing the same watch as I do. The Royal Oak Chronograph ref.26300ST with the ‘Newman’ dial. 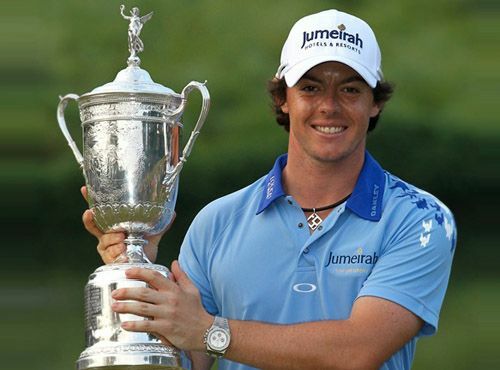 Rory McIlroy (22yrs old) won the U.S. Open last Sunday (June 19th) with the lowest score in the history of the tournament. He was wearing what I was wearing, the Royal Oak Chronograph ref.26300 (full reference number for this particular dial configuration is 26300ST.OO.1110ST.06). Ever since I got it last year November, I have almost been wearing this chrono on a daily basis. The size of the watch is very comfortable (39mm in diameter, but wears bigger because of the lug-to-lug size of 49.5mm) and the Newman dial is just perfect. The dial is white in the sun, silver in artificial light sources and the sub dials are dark brown/grey-ish. The large red chronograph second hand and the small red tips on the small chrono hands adds a bit of punch to the watch. 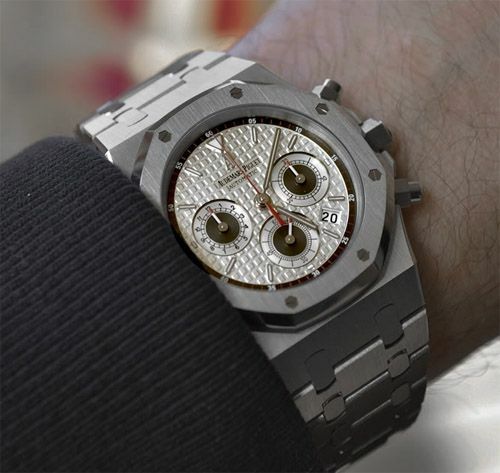 Congratulations to both Rory McIlroy (although I don’t think he reads watch blogs) and Audemars Piguet with this victory. More information about this particular watch can be found on the official AP website (here).